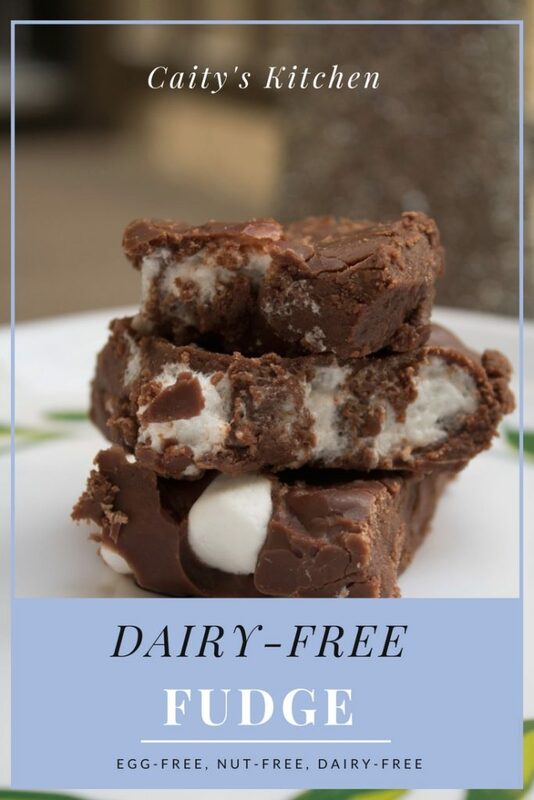 I cannot tell you how many dairy-free fudge recipes I have tried, that have turned into a soupy, grainy mess. 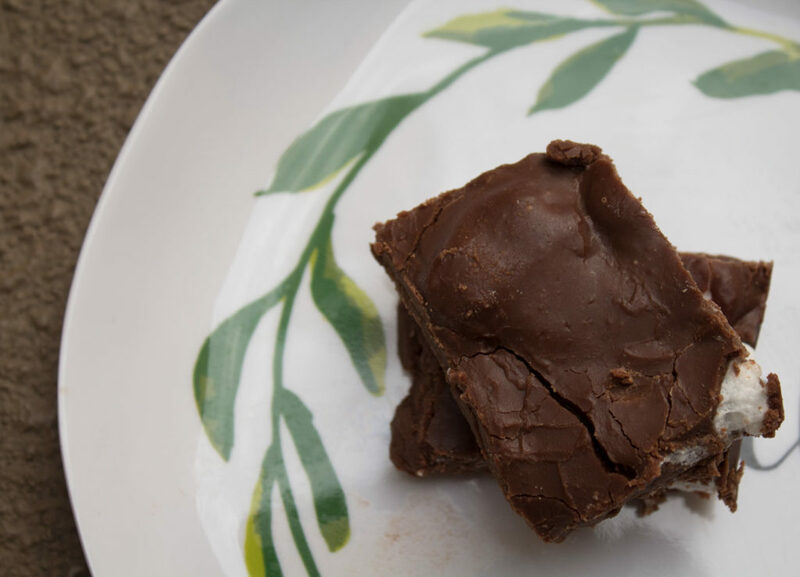 Having spent my entire childhood able to eat my grandma’s delicious fudge (with dairy), it was crushing when I realized that her fudge was something else my allergies and sensitivities were taking away. Since then, I have tried numerous fudge recipes that claim to keep the consistency, and taste just the same as fudge made with dairy. This year, I decided to stop trying recipes that I had found online, and instead experiment until I made it right. 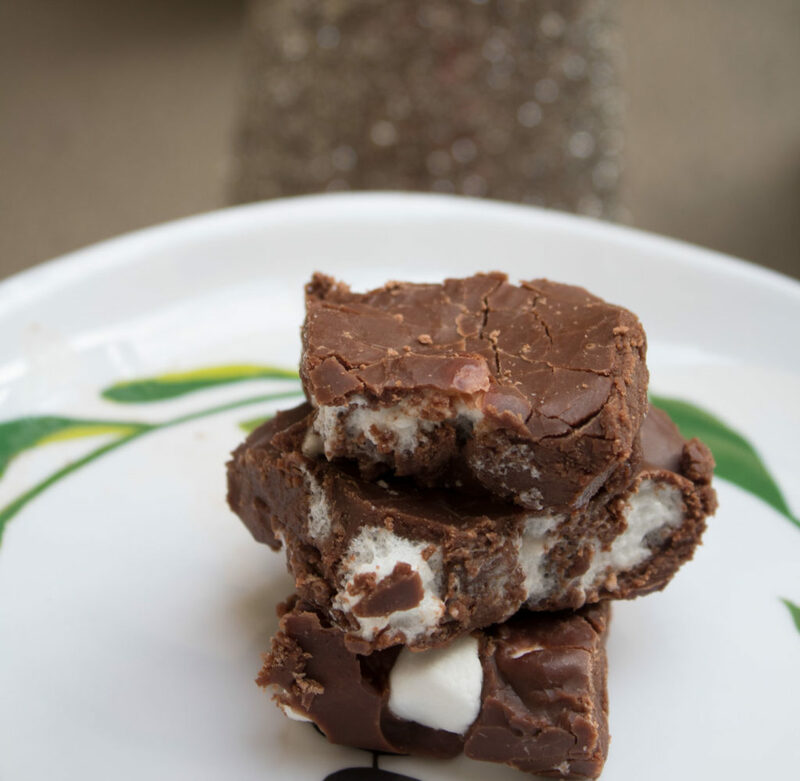 I am SO happy to say that I now have the perfect fudge recipe – that everyone was able to enjoy over the holidays. For the other dairy-free ingredients, I used my favorite semi-sweet chocolate chips from Trader Joe’s (which happen to be dairy-free), along with Earth Balance Buttery Spread (original) as the substitute for butter. I could tell when I was pouring the fudge out into the pan that it was already beginning to harden, and would not stay as a sloppy mush. I recommend putting the fudge in the fridge for about an hour, so it can cool and set. 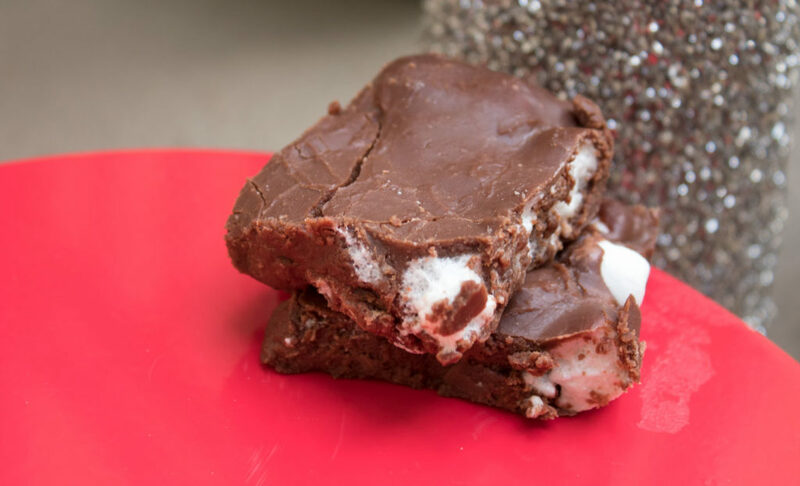 Marshmallows are (of course) optional – but this is how my grandma makes her fudge, and it is the only way I will eat it! 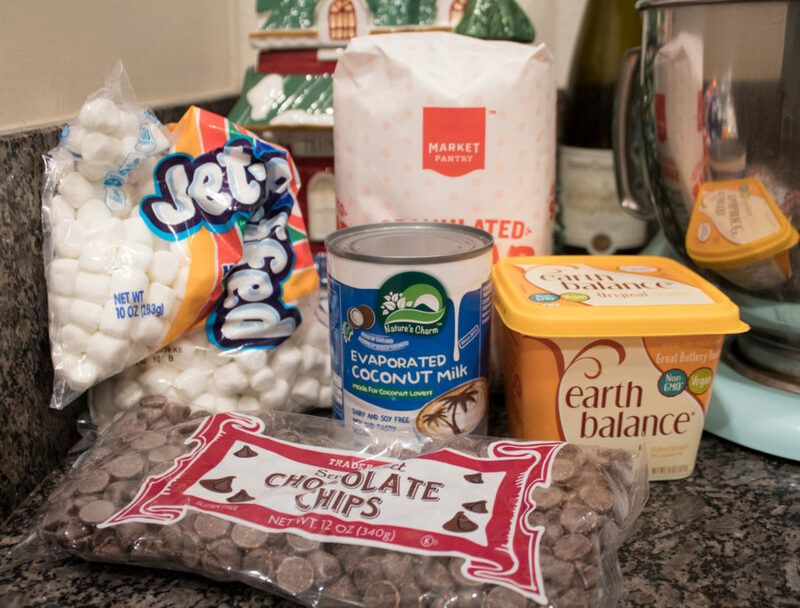 Place butter, chocolate chips, and vanilla in large bowl. Set aside. Place sugar and evaporated coconut milk in heavy pan. Bring to boil and keep at a rolling boil for 12 to 15 minutes. Stir constantly. Quickly poor sugar and evaporated coconut milk into mixture in large bowl. Mix thoroughly. Add mini marshmallows if desired. Pour and spread on lined cookie sheet. Refrigerate to set and cool for at least 1 hour. Once cooled and set – slice and enjoy! Caity, I just made your delicious fudge recipe! 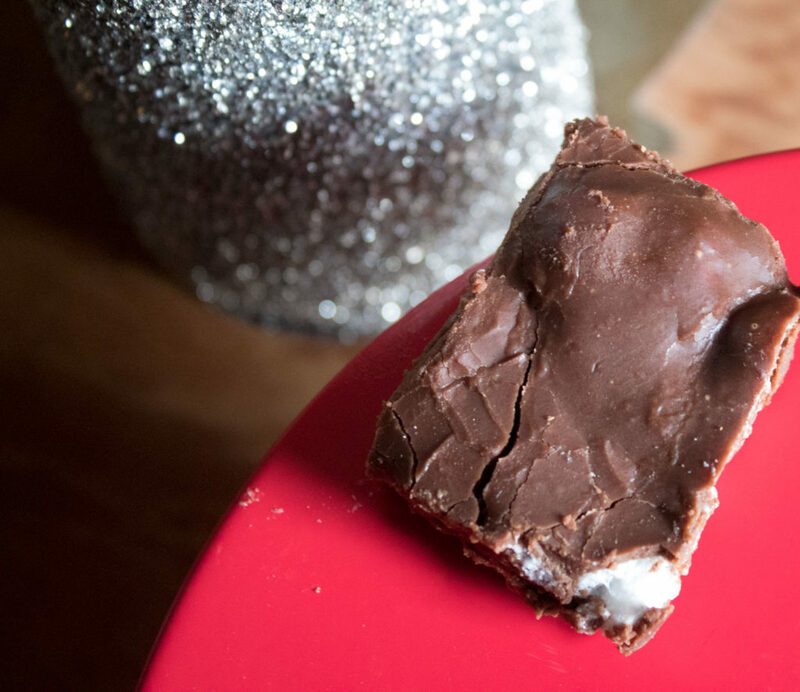 Thank you so much for bringing amazing fudge back to my holiday table! Just as you wrote, I could see it would set up beautifully. For those trying the recipe, use at least a 3 quart pot, probably 4 quart would be better. I’m delighted you found away to enjoy fudge. By the way yours looks better than mine!! From now on it’s Coconut me like for me too. Guess who?